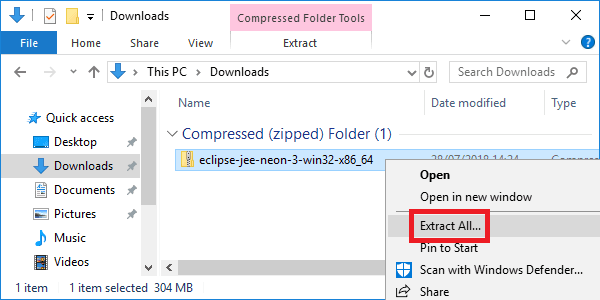 Looking to download and install Eclipse Neon on Windows? I’m going to explain you where you can find the package. I’ll also guide you through the different installation steps. Check following post if you are looking to download and install Eclipse Mars or Eclipse Photon. 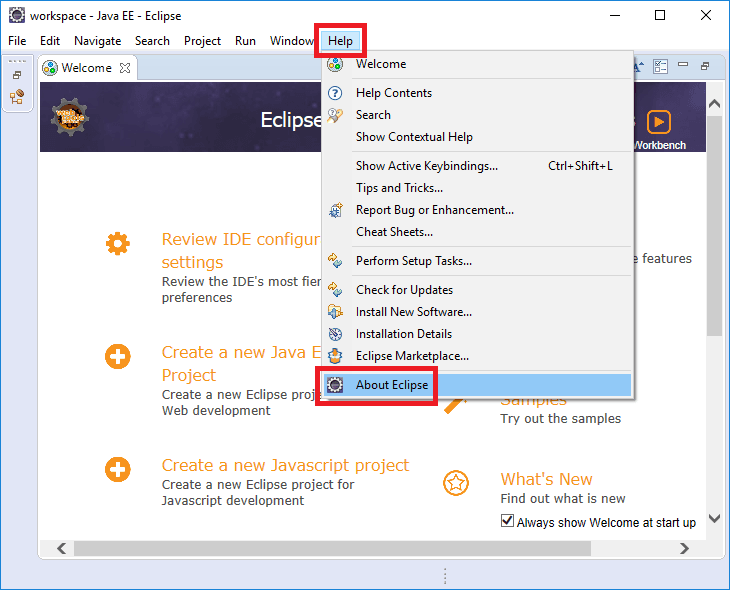 Eclipse is an integrated development environment (IDE). Its primary use is for developing Java applications. But other programming languages are also supported. The initial Eclipse codebase originated from IBM VisualAge. Today it is free and open-source software maintained by the Eclipse Foundation. Eclipse requires Java to run. Let’s check if you have Java installed on your system. Click on the Windows button. 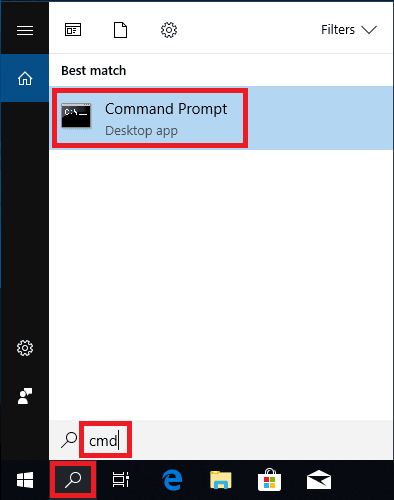 Then type “cmd” in the search box. Click on the cmd shortcut. The above command prints the installed Java version. It also prints the whether you have the 32 or 64-bit version of Java. Take note of this as you will need it in the next step. If you do not have Java installed on your system. Check following post which details how to install a Java Development Kit on Windows 10. 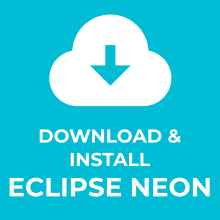 Head over to the Eclipse Neon Packages download page. 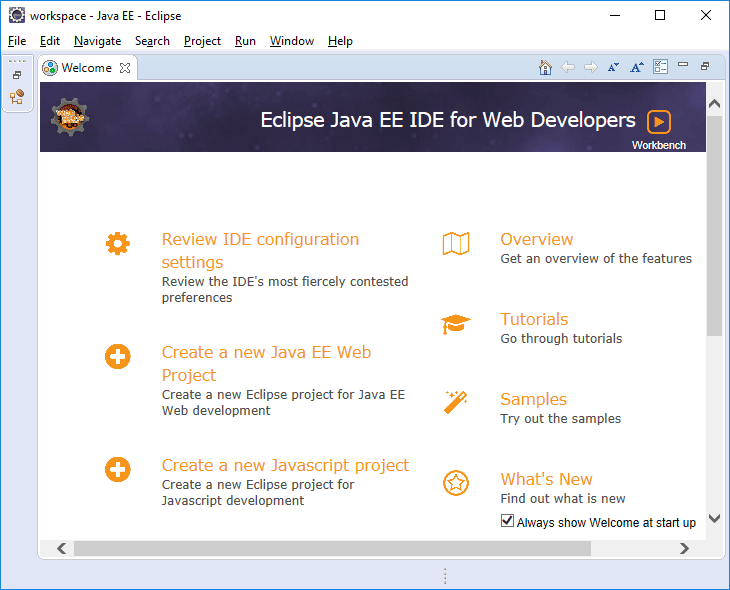 We will download the Eclipse IDE for Java EE Developers package. Click on your Windows version. This needs to match with the Java version installed on your system! In this guide, we will install the 64-bit version. Do you want to skip the above steps? Here is a direct link to download the 32 Bit or 64 Bit package for Windows. Open the location of the downloaded package. Select an extract destination for the Eclipse Neon files. 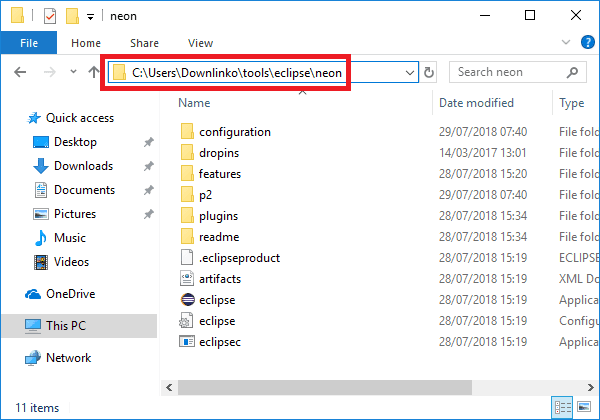 In this example, we extract in C:\Users\Downlinko\tools\eclipse\neon. Click on Extract. 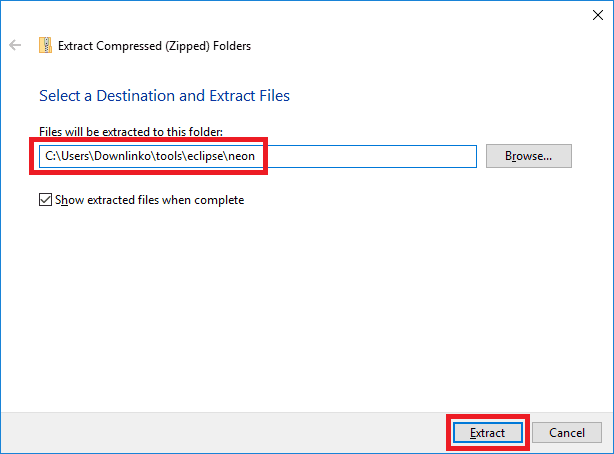 This extracts all Eclipse Neon files under C:\Users\Downlinko\tools\eclipse\neon. From now on we refer to this location as [ECLIPSE_NEON_INSTALL_DIR]. To run Eclipse Neon navigate to the [ECLIPSE_NEON_INSTALL_DIR] installation directory. 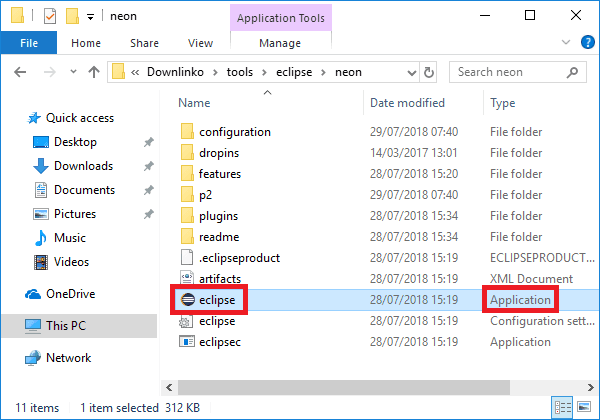 Located the Application file called eclipse and double-click on it. Eclipse will start and prompt for a default workspace location. If needed change the default location and click OK. Wait for Eclipse Neon to open. To verify the installed version click on Help and then on About Eclipse as shown below. This shows the Eclipse version: Neon.3 Release (4.6.3). 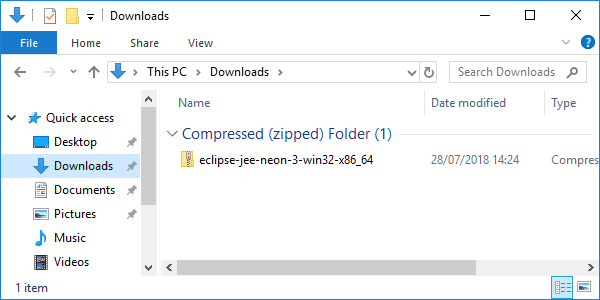 Congratulations, you have installed Eclipse Neon on Windows 10! Now it’s time to look at some basic examples on how to use Eclipse. Submit a comment below if you found this post helpful.